Back in the 1970s, I had some very strange paranormal experiences while living as a squatter in a house that was said to be haunted. It was in a part of Camden Town in London. Further to my story elsewhere of when I spent the night in a house said to be haunted by Elvis Presley or a dead solider, I have decided to share another of my paranormal experiences and encounters with strange and spooky spiritual forces. This time I was in London living in a squat in Camden Town. It was the last time I was to ever experience the mysterious humming sound known as hummadruz. It was in London in 1972 when I was 19 and in my decadent hippie days and it must have been a week or so after the free Windsor Festival. I was living in Cardiff at the time but met a girl at the festival who was living in a squat in London and she invited me there. Being attracted to the girl I went back to where I lived to get a change of clothes and a few things and then hitched to London with my friend Steve. The squat was in Charrington Street in Camden Town and had actually been featured in a BBC2 TV documentary called Annie Come Home but the girl I was hoping to see was Ali and I found she had apparently gone hop-picking in Kent with someone else. Having come all that way, Steve and me decided to stick around for a while although the state of the houses were often in a terrible state as were the people living in them who were mainly people with drug and alcohol or mental health problems or all three. One of the squatters was an ex-Hell's Angel called Big Mick. I mention him now because he comes into the story later on. Mick was a very big guy and taller than me and looked tough. He had tattoos and stubble and muscly arms and if there was any trouble he was someone who was called on to sort it out. Steve and I were told the house we were in was haunted and a few days later we were to find out this was true. We had gone to the local pub and afterwards went back to the squat but on the way in through the door both of us felt very cold even though it was a hot end of summer's night. We made our way upstairs though and found the floor we were staying on. The houses were old terraces and basically people just dossed down on the floor in sleeping bags. There were always several people sleeping in the same room. There was no electricity and people used torches or candles. The place was really squalid and people threw rubbish out the window into the stinking pile of garbage below. Floorboards and doors were missing and had been used as firewood. The basic rules of possession were if you valued something you kept it with you otherwise it was up for grabs. As Steve and me entered the room we both could see a green glow on a dark figure lying over the one side of the room. We edged over just to see what it was and saw that it was in fact Mick totally oblivious to everything but with a weird luminous green glow across his neck! We left him sleeping and went over the side of the room and got in our doss-bags. Next thing I knew I woke to a familiar noise, which sounded like a loud humming or droning noise. It was something that had plagued me as a child when I had been awoken by it on many occasions but I was the only person in my family that could hear it. My mother used to get fed up of me waking her and my father and sister up to go on about it. "You have been having a nightmare, that's all, " she would say. "No, Mum," I'd answer. "I am fully awake and it's really loud. Surely you can hear it?" She never did, and neither did my father or sister. It had always left me with the mystery of not knowing what it was or even where it came from! I never could find its source and never understood why no one else could hear it. Some years later I was given a name for it by UFO author Jenny Randles, who told me it was a phenomenon known as "hummadruz" and thought to be some sort of "psychic training exercise." The word hummadruz, by the way, describes the sound and is made up of "hum" and "drone" and "buzz." A spiritualist I met in college told me it was "tuning into the Prana of the universe" and had asked me if I had been chanting any mantras. He was right! On the occasion I am telling you about, both Steve and myself had been chanting the Tibetan mantra of Chenrezig that afternoon. It was the mantra which goes Om Mani Padme Hum that we had been reciting. I had come across it whilst studying the Tibetan Book of the Dead and it is said to guide the departed soul through to Nirvana. It is also belived that all the teachings of the Buddha are contained within this one mantra. "It is very good to recite the mantra Om mani padme hum, but while you are doing it, you should be thinking on its meaning, for the meaning of the six syllables is great and vast... 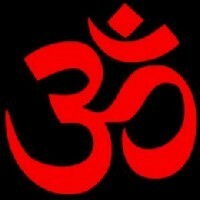 The first, Om symbolizes the practitioner's impure body, speech, and mind; it also symbolizes the pure exalted body, speech, and mind of a Buddha..."
Anyway, on that particular night it had woken my friend Steve up too and he asked me what it was. I told him I didn't know but was so relieved he could hear it. There were other squatters asleep on the floor and looking across we could see that the weird luminous glow on Mick's neck had vanished. The humming noise faded out like it had always done before and went back to sleep none the wiser. It seemed significant to me then and since that only Steve had been awoken by it. The others all slept on and heard nothing just like my family always had. It was a special moment in time and perhaps it was the reason why I had gone to London. Later on when I woke again in daylight I felt such a complete relief that at long last another person had heard the noise that had mystified me all those years. I never heard it again after that and Steve and I decided we had had enough of London so we headed back for South Wales. The mantra of Chenrezig is a mantra of liberation for all sentient beings and I had been set free from the hummadruz experience although I didn't realise it then. I only found out as the years went by and I never heard that sound again! Wizzography for The Bard of Ely whose real name is Steve Andrews. Here you can find out more about him.